I love to read, I love to write It's the chance to imagine myself within the pages that keeps me going Being able to review and share is fantastic. Disclaimer: I won this book in a competition. Excellent sequel! Cale's journey home continues, escaping one horrific situation and running into the unknown, fighting off the infected as he goes. He really mans up in this book, while still showing his emotional side. We also find out more about his wife, Lauren and what she is having to go through to survive. They are both really good characters, easy to relate to and I could feel myself rooting for them at every hurdle. Cale starts off as a bit of a limp character, who seems to not want to be in the army and doesn't even want to fire a gun, but he does toughen up as the book goes on, as he tries to get home to his wife and baby daughter. It is evident that Mr Lerma was in the military from a lot of the terminology, which is important when writing about situations such as this. I have subtracted one star because there are too many instances of practically nothing going on, which slows the flow of the book down too much. Luckily it never lasts long and we get back to the bloodshed and suspense. As the first in the series it seems more of a set up for the rest, which is even better from what I've read so far. 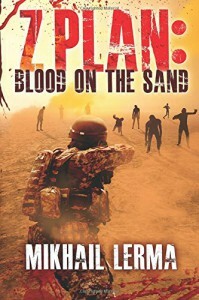 If you like soldiers and zombie then it is a good addition to your library. A tale going through the lives of two girls, from childhood to childbirth, through struggles and disaster. Just how much can a true friendship survive? It's quite slow, good as a relaxing summer break from reality and quite romantic in places. I enjoyed it for what it is, it took me a while to read as I had difficulty getting engaged with the characters and the story itself was a bit pedestrian. I understand the concept that the author was trying to get across but it just didn't work for me. I won't be reading it again but it was ok as a book for an empty afternoon. I was given this book free in return for an honest review. This starts off kind of slow and then turns into a real gore fest, which is about the only thing it has going for it. 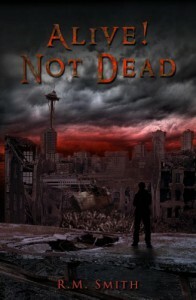 It does have zombies but it's also about nuclear weapons and the world falling apart. There's a few bad guys but they seem to be glossed over, the book seems to concentrate its many pages on the travelling from place to place. It's unfortunate that we don't really get to know any of the characters properly, not even the main one, they don't tend to last long enough for that and, even when they do, there is nothing to endear us to them. The ending is a bit of a letdown too, it's very abrupt, with just a strange poem to tell us it's finished. Considering it has nearly 400 pages there are very few points with a lot going on and it has a real tendency to drag enough that I was happy to put it down for an hour, which was unexpected. It was only 99p but I expected more as I have read many free books that were better. It just goes to show that shoehorning everything into one book isn't always a good idea.I felt let down by this book, the plot seemed good but it didn't deliver where it needed to. 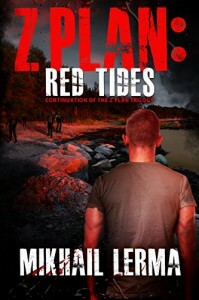 NOT a zombie novel I would be happy to recommend. Dora is back from hell, but what on earth is she? More important, where are Keiran and Pooey? With demons, vampires, witches, were-creatures and a scruffy flying unicorn there is never a dull moment in this episode of Dora's life. Fantastic series and recommended for anyone who likes funny with their paranormal. This was a review copy from the author. This is the first book I have read in this series and I'm glad that I did. Set in a town full of paranormals and humans as well as a very annoying ghost cow! 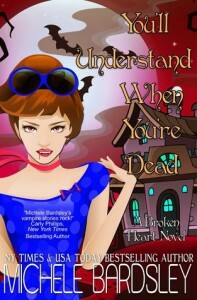 Kimmie wants her mother to have a love life, but all Natalie wants is to live her undead life and bake. Add in an unfortunate spell and Matt the psychic, along with lots of pie and you get a very funny love story. It's not an overly long book (it only took an hour and a half or so) but the author manages to pack a lot into the story without losing depth. 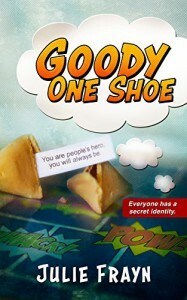 Easy to like characters and a lighthearted plot made this a book that was really a pleasure to read. Disclaimer: This book was free in return for an honest review. I've been trying to read this book for a week and it's been a struggle. I'm not sure if it's the fact that it's a PDF and seems to be full of crazy exclamation marks but it might just end up as one of my rare DNF. for now I'm going to continue and find out whether I can get my head round it. It was pretty good, decent plot with danger, violence and a bit of romance. It didn't excite me or have me on the edge of my seat as I read and I wasn't enamoured of the characters, so I couldn't give it more stars. Maybe it will improve as the series continues, we'll have to wait and see. 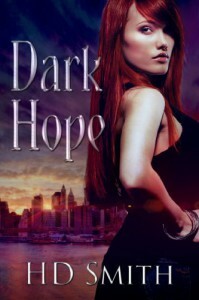 I like vampire books but I prefer them to have more depth, even humour can be a good thing. 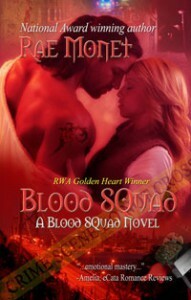 Blood Squad is a bit too safe, which some people like, but it's not for me. 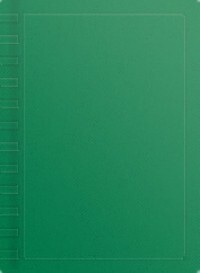 Has anyone read The Beginning of the End by Sean Kidd? He needs some people who've read it. .Not what I'd call glamorous! 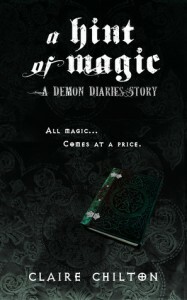 This book gives us the story of how Demonic Dora started out. It's quite a short book, but very descriptive and fun to read. With a preacher, a coven and dabbling in the dark arts, there is plenty to keep you entertained. Dora is a cool and quirky character, with a really messed up family life, very likeable and I am looking forward to finding out more about her in the books to come. This might be aimed at teens/young adults but it's worth reading no matter how old you are. A great paranormal book, fast paced and had my heart pumping whilst reading it! I loved the imagery too, which is lacking in some books. I would definitely recommend this if you like demons, but not if you're faint of heart. 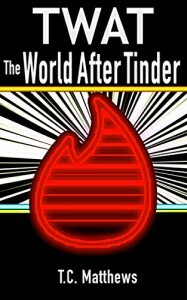 Disclaimer: This book (kindle edition) was free from the author in return for an honest review. I didn't love this book but I didn't hate it either, it was very light and middle of the road. There was no real drama, considering Emma and Greyson were supposed to be soulmates there was no feeling of great passion or heartbreak. They both seemed lacking, a bit too one-dimensional. The book started out being about Emma going to New York to help her friend with her wedding but the whole ceremony was completely skipped over, which was a real disappointment. In all it was an ok book, nice for a couple of hours away from the world but, for me, not something I would read again. No, I got called it once and just liked it. When I took my puppy to be spayed, I felt so guilty and scared because she's tiny. Three boys, 19, 25 and 26. The older two have left home and I miss them every day. The youngest lives at home still and I can't see him moving out anytime soon, he'd miss my baking too much! I hope so, I like to think I'm a nice person. I like to have fun but I'm shy so hard to get to know I guess. I've been slowly learning the art of sarcasm, so it's becoming part of my daily routine. Everyone needs a bit of sarcasm in their lives. Maybe, I want to skydive first though. Crunchy Nut cornflakes, it's the only one I enjoy eating every day, I get bored with anything else. Looks of course, but then it's the vibe I get from them. Scary, action, blood and gore. I can't stand romcoms. Fresh country air after the rain, or baking. Summer, I need the warm weather. Hmmm not that I can think of. Reading, watching TV, baking, I used to love walking but can't do it so much anymore. Oh and sleeping! Not a favourite but if it has blood and guts I'm happy. Being a grownup is overrated. Thats it thanks to Paul Read or Dead and HFK and whoever she borrowed this from, great post. 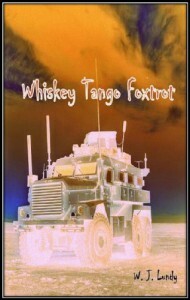 Fast paced and gives a real insight into the thought processes of a soldier still out on active duty when the shtf. A great start to the series and it has definitely left me wanting to read more. Disclaimer: This was free from the author in return for an honest review. This is the first book I have read from Ms Frayn and I enjoyed it. The story started quite slowly, which I don't necessarily like, but it did gain momentum before too long and get into the blood and guts of it (pun intended). Part love story, part thriller, it jumps back and forth in time to explain our heroine's history as we go. Does vigilante justice work? Is it a good thing? In Billie's life it seems to and the sword definitely seems mightier than the pen!